Parliament's Scopa was expected to meet on Wednesday to decide if it should re-open the multi-billion rand arms deal investigation, reports said. Standing Committee on Public Accounts head Themba Godi told The Citizen and The New Age newspapers the body would scrutinise a letter sent to it by Hawks boss Anwar Dramat on Monday. In the letter, he explains why he decided in October to drop the investigation into the controversial arms deal. “I can confirm we have received a response from the Hawks which I will present to the committee Wednesday and take it from there,” Godi was quoted as saying. Godi told The New Age Scopa was upset Dramat had only explained this week the reasons for stopping the investigation. But Dramat wrote in this week's letter he did send an explanation in November, but had learnt only now that Scopa never received it. “I would like to express my sincere apology for the misunderstanding,” Dramat says in the letter, according to The New Age. Allegations of corruption related to the arms deal first surfaced in 1999. President Jacob Zuma's former financial adviser, Schabir Shaik, was sent to jail in 2006 for facilitating a bribe from the French arms company Thomson-CSF. He has since been released on medical parole. 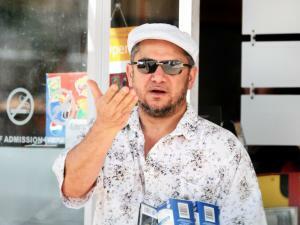 Shaik's brother, Chippy, was working for the defence department as chief of acquisitions for the arms deal. Last week Swedish defence group Saab chief executive officer Hakan Buskhe issued a press statement admitting an internal investigation had revealed that about R24 million had been paid by BAE Systems to Sanip Pty Ltd, he said in a statement. The payments were then transferred from Sanip Pty Ltd to a South African consultant. The transactions were never entered into the accounts of Sanip Pty Ltd, and the payments took place without the knowledge of Saab. “The consultant who received the secret payments is reportedly Fana Hlongwana, who was an adviser to former Minister of Defence Joe Modise, and who was alleged to have received up to R200 million in commissions relating to the acquisition of 26 Gripen fighter jets from Saab/British Aerospace,” Maynier said. Opposition parties have since called on the Hawks to reopen its investigation. The Hawks were created after the ruling African National Congress decided to disband the Directorate of Special Operations, known as the Scorpions, which lead the investigation against Shaik, and which also implicated Zuma in questionable deals. With acknowledgements to Cape Times and Sapa.